It may seem like the sky is falling in the Steel City since the Pittsburgh Penguins dropped Game 3 of the Stanley Cup Final in ugly fashion, 5-1, against the Nashville Predators. The fact remains, though, that it was just one loss, and Pittsburgh still controls the series with a 2-1 lead. The Penguins have been here previously. Their losses in Game 6 against the Washington Capitals and Game 3 versus the Ottawa Senators were no better. In both games, the opponents ran Pittsburgh out of the building. Also in both cases, the Penguins won the next game. In order to win Game 4 and take a stranglehold on the series, Pittsburgh needs more from its stars. Most expected the Predators to come out with tremendous energy behind their raucous crowd in Game 3 on Saturday, but actually, it was the Penguins who struck first with a goal less than three minutes into the game. In the next 10 minutes, Pittsburgh had a chance to really apply the pressure. They received two power play chances, but were unable to convert on either. The Predators built momentum from their penalty kill and took over the game in the second period. Just one power play goal to make it 2-0, and maybe the game would have turned in Pittsburgh’s favor on Saturday night. At the moment, the Penguins’ power play is sapping energy from the team. The stars of the top unit are all out of sync and have lost their shot-first mentality. 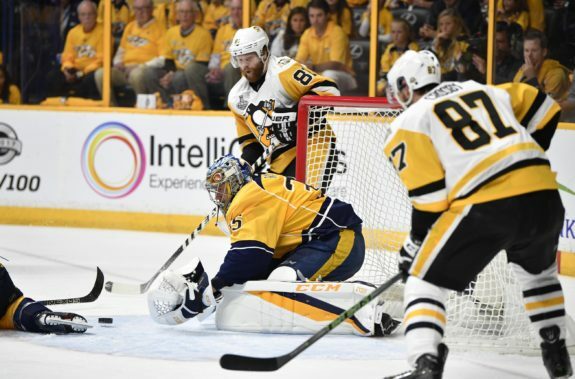 In 13 power-play tries versus Nashville, Pittsburgh has just four shots on goaltender Pekka Rinne, who came in struggling against the Penguins but found his stride in Game 3. The Penguins are 1-for-13 on the man advantage in the series. Malkin said pointedly– I don't have time (on the power play). They're on me. Pens power play gave NSH a boost. Pittsburgh has shown great ability to win games when getting outshot by wide margins. But in most of those victories, the Pens won the special teams battle. That’s not happening in this series. If Pittsburgh wants to win Game 4, the stars have to be better in all areas, but particularly the power play. Of course, the stars stepping up begins with captain Sidney Crosby. 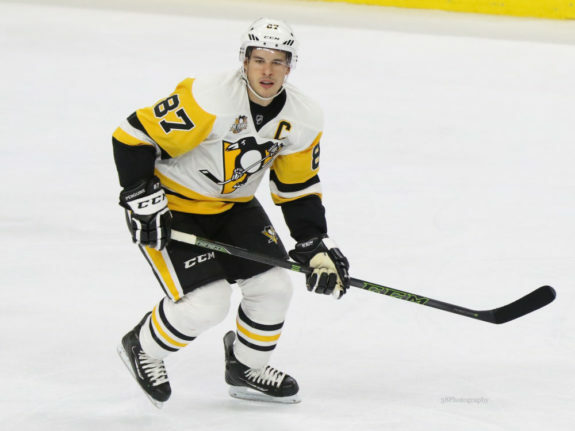 While he’s contributed three assists in the series, Crosby hasn’t scored a goal since Game 5 of the Eastern Conference Final – giving him a five-game goal drought. He went five games or more without scoring a goal only twice during the regular season, on his way to a league-leading 44 goals. A Crosby goal – on the power play or at even strength – in Game 4 would be a big boost. He looks to be deferring a little too much perhaps because he’s playing with the red-hot Jake Guentzel. The rookie has four goals in the Stanley Cup Final, but that shouldn’t deter Crosby from getting shots on net. He has just one shot in the last two games. If scoring isn’t in the cards for Crosby, the faceoff dot is another arena where he can make an impact offensively, especially on the man advantage. Crosby was 2-for-6 in offensive zone draws on the power play in Game 2 but improved to 3-for-4 in Game 3. The first step towards getting the Penguins’ power play back on track is winning draws and having zone time. At the end of the day, though, the Predators are giving Crosby so much attention, other stars have to step up too. 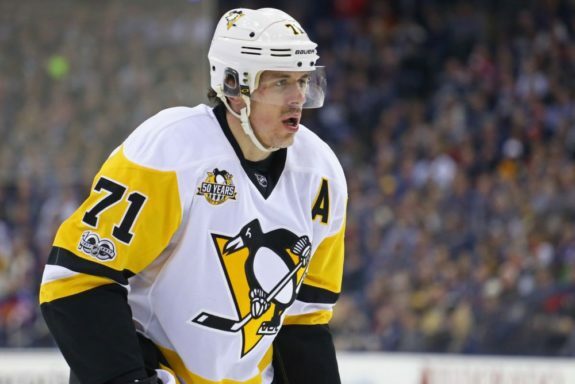 Center Evgeni Malkin has only two shots in the series, so he needs to be more aggressive also. But the star struggling the most is right winger, Phil Kessel. A playoff hero a year ago, after coming over from Toronto, Kessel is practically a folklore legend in Steel City. Right now, though, he’s anything but legendary. Ouch. Pens had just 26 percent of the shot attempts with Malkin-Kessel-Kunitz on the ice. Pens were trailing for half the game, too. Kessel hasn’t scored since the 7-0 outburst in Game 5 versus Ottawa and has just two assists in the last five games. While he is tied for third on the team with seven goals this postseason, only two of them have come at even strength. In fact, he has just four even-strength scores since Feb. 16. Somehow, Pittsburgh has advanced to the Stanley Cup Final without much from Kessel at 5-on-5. But it’s probably not a coincidence that he hasn’t scored in five games and during that stretch, the power play is 2-for-17 (11.8 percent). With the amount of attention Crosby is receiving on the power play, Kessel might be the key to igniting the man advantage. An even-strength tally from No. 81 wouldn’t hurt either. Regardless, the Penguins need their stars to play like stars to win a road game on Monday.